New vehicle pricing is based on factory equipped vehicles with no dealer installed accessories. Used vehicle pricing is as equipped. While it is common in the DFW area for dealers to pre-install items on new vehicles such as window tint, pinstripes, wheel locks, cargo trays, splash guards and other items, at Rusty Wallis Honda we are happy to sell you a factory equipped vehicle with no add-ons. Pre-Owned vehicle prices are subject to change with market conditions and reconditioning costs. These changes may happen at any time. Tax, Title, License, Documentary Fees, State fees and dealer installed accessories (if any) are additional. While great effort is made to ensure the accuracy of the information on this site, errors do occur so please verify information with a customer service rep. This is easily done by calling us at 214-348-7500 or by visiting us at the dealership. 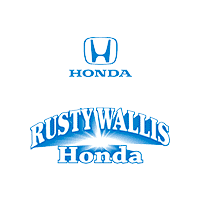 Rusty Wallis Honda	32.8660287, -96.6672296.